"WHAT DID YOU ACCOMPLISH IN 2014?" spinning your wheels, it’s time for a change!! Create a new game plan now and make 2015 your banner year!! "This year's not even over yet, and I've accomplished all the ambitious goals I set for myself (in 2014). I was feeling like I had lost momentum, my big dreams weren't coming true. But with Sandra's guidance, I learned how to set better goals, understand my brand, and grow my network. Now I've signed with an exciting new manager, reconnected with an A-list directing mentor, and written a promising feature to direct. PLUS I'm directing commercials full time, without feeling overwhelmed! Thanks to Sandra, everything is in place for a successful year ahead." "There are so many options for both paid and free career advice in Hollywood, it’s sometimes hard for people to sort out who’s the best. You’re tops on my list! We’ve been to your Hollywood Networking Breakfast and we trust the information you give us." "I had trouble with priorities -- deciding what to do first -- and how to contact people. Among other things, Sandra assisted me with guiding my focus, expanding my network of connections, and getting top names to be featured interviews in my upcoming entertainment industry book." – Meredith Cornelius, former Director, Corporate Marketing, FINAL DRAFT, INC.
"Working with Sandra Lord is always a delight. Her energy and attitude are so positive that it permeates any crowd. The Hollywood Networking Breakfast kicked off our Scriptwriters Showcase and set the tone for the entire weekend. Sandra's presentation on "Networking & Strategizing Your Way to Success in Hollywood" put people at ease, encouraged introductions, provided educational information and was inspirational. Our attendees benefited greatly from the HNB event." "I wanted to thank you for the presentation and information [at the recent free Creative Career Strategies seminar]. I bounced your email invitation off of a friend before I decided to attend, and she said, 'Dave you probably will be teased, with little or incomplete information, and then pitched on some product or service.' Truthfully, I was impressed, and grateful that I attended. Sandra spoke from the heart, with practical experience, and dropped many gems along the way…So I just want to say thank you for your efforts and your service." “Taking Sandra's Career and Business Strategies Workshop has been one of the best professional decisions I have ever made. One year after our first class together and I am getting paid to do what I love and I am currently in preproduction on a feature film. Using strategies I learned from Sandra's workshop, I was able to raise one and a half times the budget I set up on Kickstarter for my short film. These strategies also enabled me to land one of the leading stars of a current primetime NBC hit series (whom I'd never met before) to play the female lead in my short film. I also got the runnerup on a current hit competition show on FOX to play the lead in another one of my short films. He was scheduled to be out of town but he changed his schedule to accommodate our shoot dates. The greatest thing I took away from Sandra Lord's Workshop was the realization that there is not a single person on the face of the planet out of my reach. Using Sandra's advice, I connected with and befriended one of my favorite Hollywood actresses and we now hang-out regularly. Through regular networking, I expanded my professional network by approximately 800 contacts. I made more progress in my career in one year with Sandra Lord than I had in the last three without her. In the past year I accomplished 8 of the 20 goals I wrote down last January. Several of the goals I realized were no longer relevant, and that is why I did not accomplish more. One of my goals last year was to focus, and actually the fact that I decided not to go after all 20 of those goals, was an indication that I was able to focus. The rest of the goals I am still working on this year, but I am in a much more realistic place to accomplish them because of the work I did last year. Sandra's workshop helped me focus and create the opportunities that I wanted. I'm now turning down jobs that I would have felt obliged to take in the past out of fear. I would recommend her workshop to anyone looking to move their career forward, no matter how far they have already come. This class will more than pay for itself when you take it seriously. 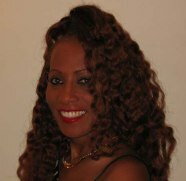 SANDRA LORD is the founder of Creative Career & Business Strategies. She is a key figure in facilitating access and connections in Hollywood and is known for her ingenious strategies, networking ideas, events and opportunities. She is the founder of the popular, award-winning Hollywood Networking Breakfast®, Women Helping Women™, Hollywood Global Entertainment Network and The Great Hollywood Mixer, ™ among others, attracting the participation of TOP Hollywood players. She is also the organizer of the popular Los Angeles Film & TV Meetup, one of the largest and most vibrant entertainment groups on Meetup.com. As a career strategist and networking specialist, Ms. Lord works with professionals and aspirants at various levels in the entertainment industry. She helps clients take charge of their career or business direction, make themselves valuable to the people whose attention they want to attract and position themselves for the next opportunity/milestone in their careers or business. Ms. Lord has written articles on networking and career strategy, and speaks regularly on the subject throughout the LA area, as well at her popular seminars and workshops and is currently writing a book on the subject. ©Copyright Hollywood Global Entertainment Network, 2000-2019 All rights reserved.